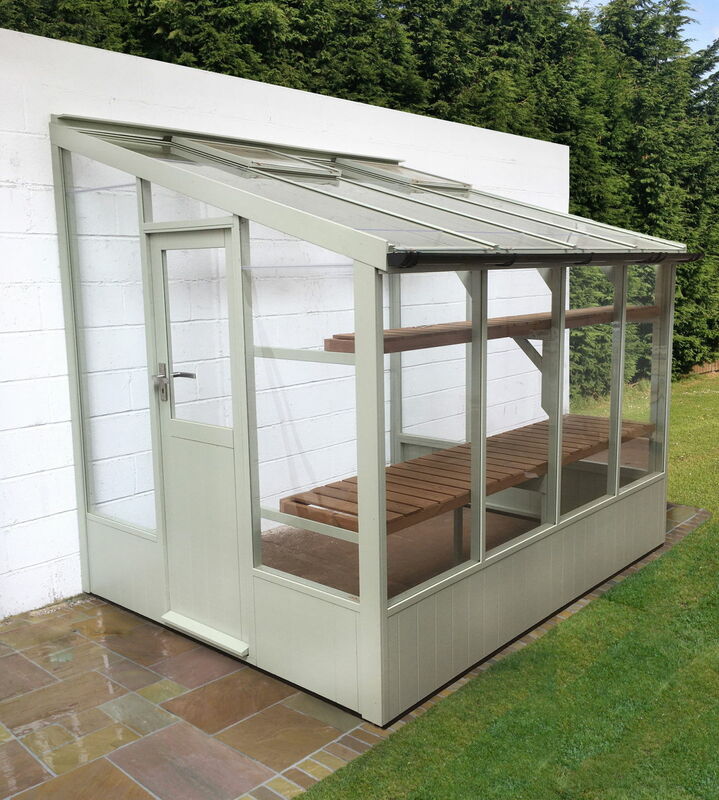 The Swallow Starling Low Height Lean to Greenhouse is a 6ft wide wooden lean-to manufactured here in the UK by skilled craftsmen to the very highest standards. In our opinion these are the finest wooden greenhouses you can buy today. Swallow Starling Low Height Lean to Greenhouses are made from Scandinavian ThermoWood®. This new high tech timber is specially heat treated up to 215 °C to remove excess moisture and resin, preventing warping and protecting from rot. They feature toughened safety glass, automatic roof vent openers, slatted staging and an inward opening door with a silver stainless steel handle and mortise lock for security. Installation is included in the price with all Swallow greenhouses. Simply order, and with 4 weeks your new Swallow Starling Lean-to Greenhouse will be delivered and erected in your garden, ready to enjoy!